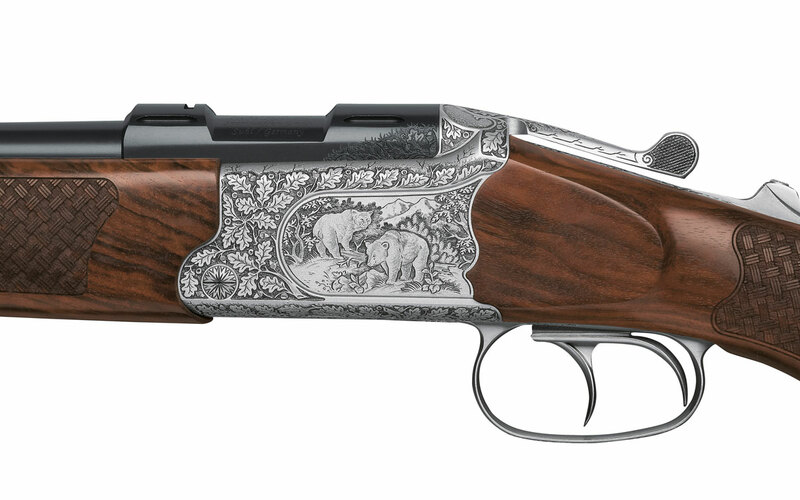 Be it short or long side plates: The hunting rifles of the B- and K- classes are made for fine engravings. 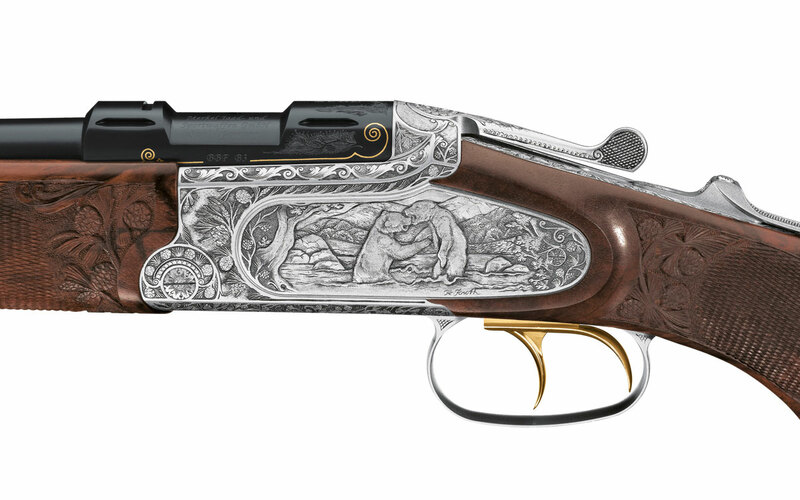 The decorative features underline the classical character of these guns. 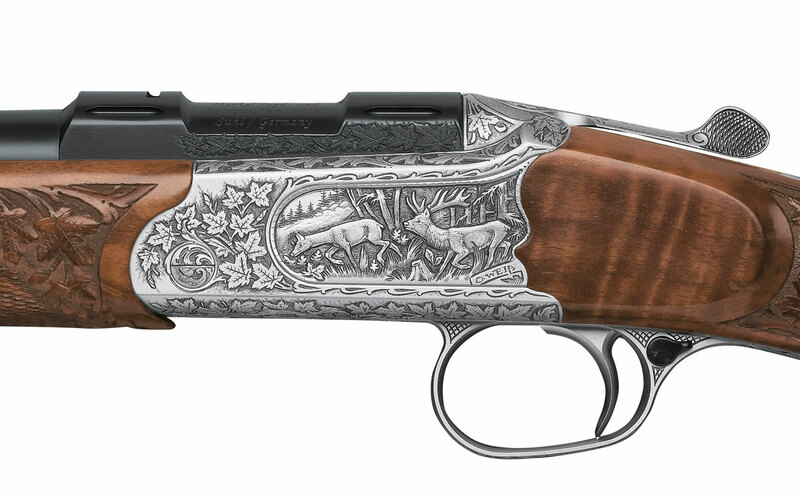 The basis is the Jagd edition. The other variants are named after cities in Thuringia. 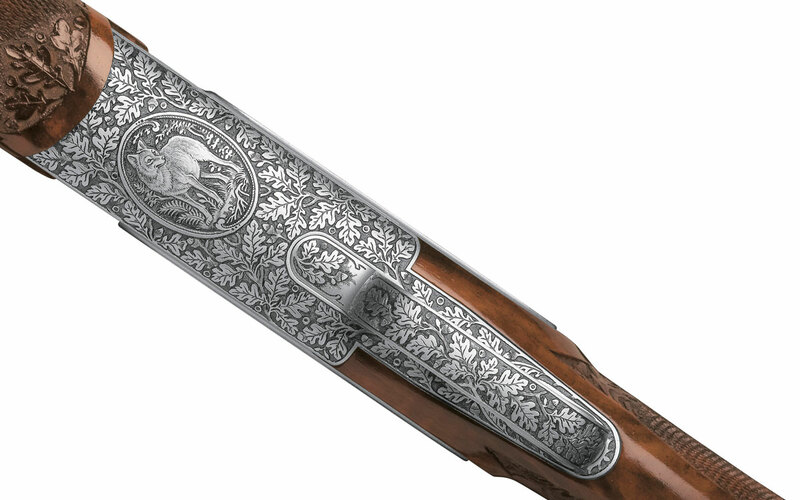 The closer the city is to Suhl, the higher and more luxurious is the engraving and the features. 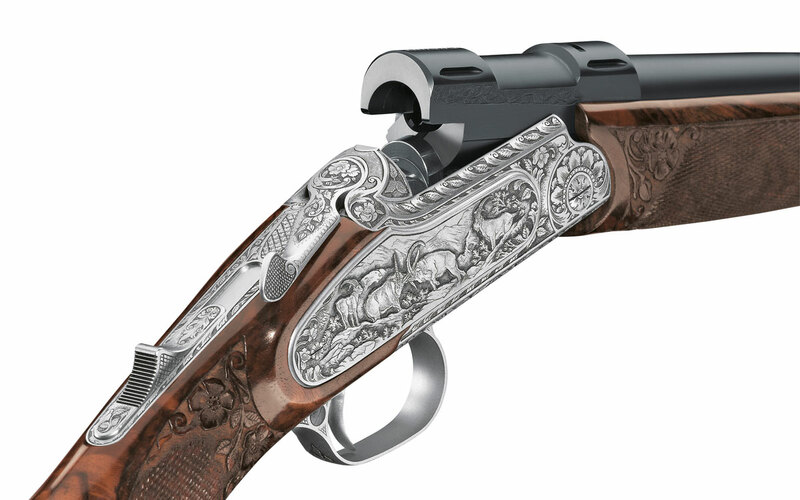 The engravers guarantee for master style artistry with their signature. Sides and bottom with English style engravings and arabesques. Plates with animal engraving, different motives. 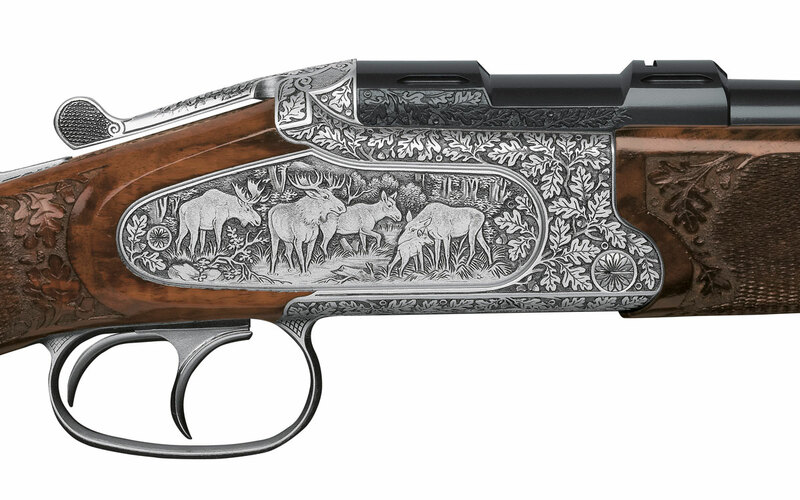 Fine hand-made engraving, two animals per side, filled with arabesques, oak leafs or old German style leafs. 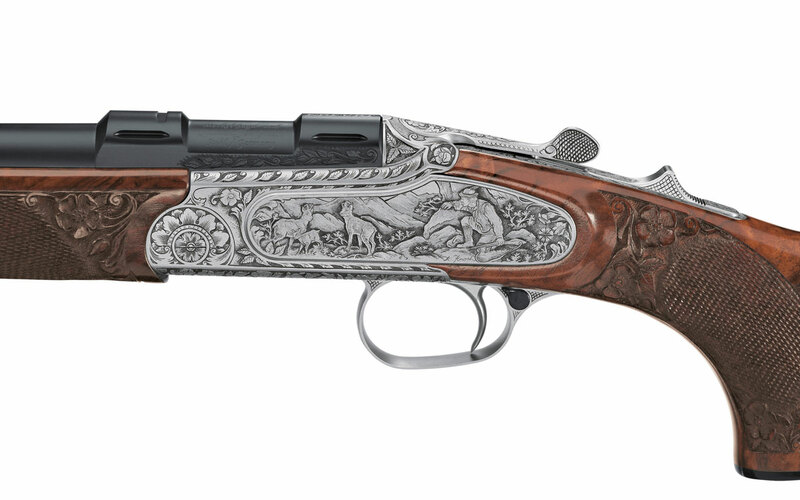 Barrel breach and trigger guard engraved. Very fine grained wood, finely carved checkering. 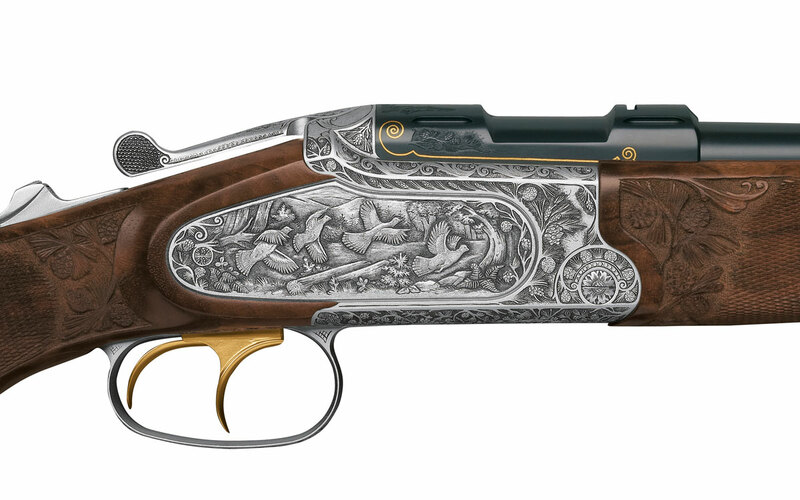 Fine hand-made engraving, two animals per side, sublimely chiselled. Filled with arabesques, oak leafs or old German style leafs. Filling and animals of your own choice. 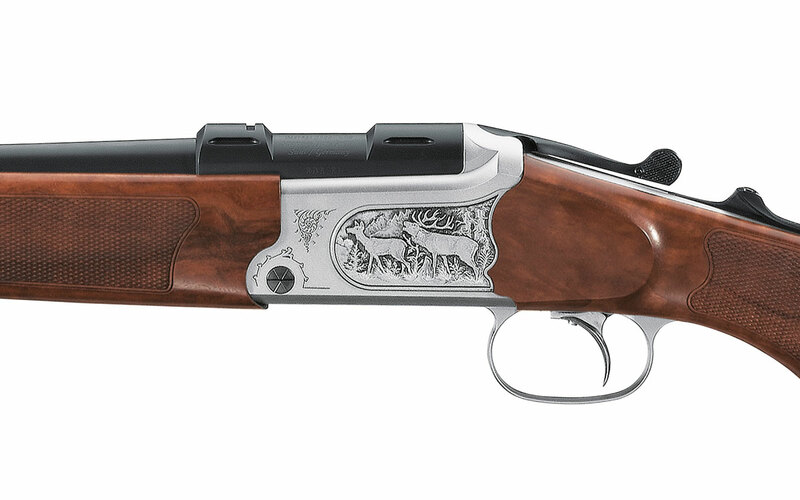 Barrel breach and trigger guard engraved. Stock with fine stock carving similar to the filling. Selected walnut root wood. Long side plates, complex relief engraving with up to four animals per side, animal on the bottom sublimely chiselled. Filling and ornaments of your own choice. Barrel breach fully engraved with gold boarder; gold plated triggers. Stock made from highest grade luxury walnut root wood with strong wood graining, high end stock carving. Silver pistol grip cap with monogram.